UK copyright in a no-deal Brexit scenario: what will happen? A few months ago, this blog reported that the EU Commission had issued a Notice to stakeholders on the impact that a no-deal Brexit would have on UK copyright. At that time, UK's withdrawal from the EU without any agreement in place must have seen impossible: if one looks at the comments to the relevant post, a reader who called themselves a 'Broptimist' stated that the EU Commission's document did relate "to a worst-case scenario, and one that is highly unlikely to come to pass". The Notice begins by stating that the UK and the other EU Member States are party to the main copyright instruments, including the Berne Convention. This means that the principle of 'national treatment' and the other (de minimis) obligations contained therein will continue to apply even after the UK's exit from the EU. So, works originating in one of the Berne Union countries will be given the same protection in each of the other countries as the latter grants to the works of its own nationals. Until Brexit day nothing changes as regards the value and supremacy of EU law over UK law. This means that EU regulations, including the recent Portability and Marrakesh Regulations, will continue to have direct effect at least until then. UK legislative provisions adopted to implement EU copyright directives into UK law will continue - by default - to apply as they are domestic law. This likely means that the EU directives from which they derive will continue to matter to the UK, and so will the interpretation of provisions in relevant directives as provided by the Court of Justice of the European Union (CJEU) [if you are interested in this, I discuss it more at length here]. However, section 6 of the European Union (Withdrawal) Act 2018 states that, following the departure of the UK from the EU, a court or tribunal in that country would not be bound by any principles laid down, or any decisions made, on or after exit day by the CJEU, and would not be able to refer any matter to the CJEU on or after exit day. As regards CJEU decisions issued after exit day, a court or tribunal would need not to have regard to anything done on or after exit day by the CJEU, another EU entity or the EU, but "may do so if it considers it appropriate to do so". In addition, any question concerning the validity, meaning or effect of any retained EU law (this would also apply to copyright provisions adopted in light of EU obligations) would need to be decided, so far as that law is unmodified on or after exit day and so far as they are relevant to it in accordance with any retained case law and any retained general principles of EU law, and having regard (among other things) to the limits, immediately before exit day, of EU competences. The UK Supreme Court would not be bound by any retained CJEU case law, nor would the High Court of Justiciary in certain scenarios or when no court or tribunal would be bound by any retained domestic case law that it would not have otherwise been bound by. In any case, in deciding whether to depart from any retained CJEU case law, the Supreme Court or the High Court of Justiciary would need to apply the same test as it would apply in deciding whether to depart from its own case law. This said, the most evident effects of a no-deal Brexit would be on EU regulations (that would cease applying directly; but see also below) and the cross-border mechanisms envisaged by EU law and applicable to EU/EEA countries. This is because, by leaving the EU and the EEA, the UK would become akin to a third country. This said, section 7 of the Withdrawal Act clarifies that EU law that has the status of 'direct principal EU legislation' by default would be considered retained EU law. As explained by the UK Government Notice, this means that "Directives and Regulations on copyright and related rights will be preserved in UK law as retained EU law under the powers in the EU Withdrawal Act 2018. The government will make adjustments under the powers of the Act to ensure the retained law can operate effectively." Sui generis database rights. There will be no obligation for EEA states to provide database rights to UK nationals, residents, and businesses. UK owners of UK database rights may find that their rights are unenforceable in the EEA. Portability of online content service. The Portability Regulation will cease to apply to UK nationals when they travel to the EU. This means online content service providers will not be required or able to offer cross-border access to UK consumers under the EU Regulation. UK consumers may see restrictions to their online content services when they temporarily visit the EU. Country-of-origin principle for copyright clearance in satellite broadcasting. UK-based satellite broadcasters that currently rely on the country-of-origin copyright clearance rule when broadcasting into the EEA may need to clear copyright in each member state to which they broadcast. Cross-border transfer of accessible format copies of copyright works. The UK intends to ratify the Marrakesh Treaty after exit but ratification will not have taken place before 29 March 2019. Between exit and the point of ratification, businesses, organisations or individuals transferring accessible format copies between the EU and UK may not be able to rely on the EU Regulation. Watch this space for further analysis of the IP implications of a no-deal Brexit. Fashion, algorithms, and copyright: is it all about what we want or rather what we didn't know we want? Yesterday The New York Times published a very interesting article by fashion expert Vanessa Friedman, which praises the spring/summer 2019 collections presented by Telfar and Rodarte during New York Fashion Week, as being about fashion that consumers do not really know they want yet. There’s a lot of pressure these days to design by algorithm. We know too much about buying habits and likes, and the result is an insidious bias toward giving people what they have already indicated they want. It may be safe, and easier to sell, but it’s antithetical to the whole point of fashion, which should be about giving people what they never knew they wanted — what they couldn’t imagine they wanted — until they saw it. But how is all this 'profiling' done? It will not come as a surprise that identification of what we will want, and what we will be eventually given and shop, owes a great deal to our own social media activity, that is the 'likes' we give, whom we follow, and the content that we share ourselves. 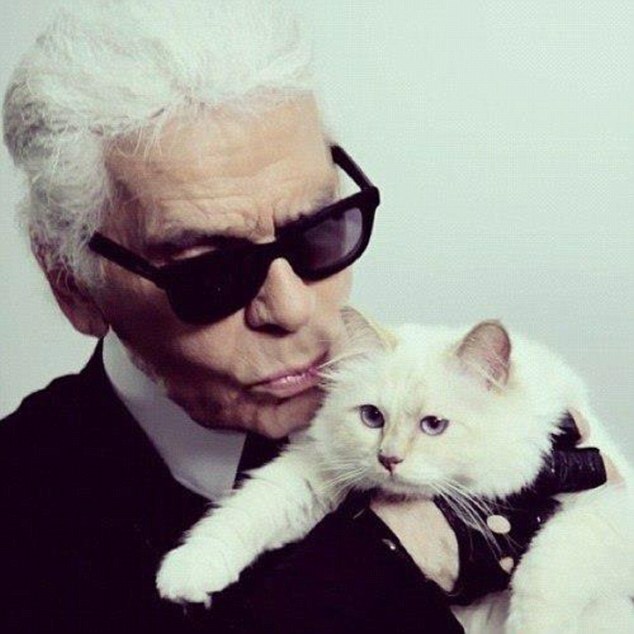 Is this data difficult to collect and elaborate, and are online platforms the (gate)keepers of all this information that can be then translated into revenues and personal success of fashion designers? The answer is: not necessarily. A few months ago, as I was looking for applications of text and data mining (TDM) techniques in various fields, I read an intriguing study conducted at Cornell University. 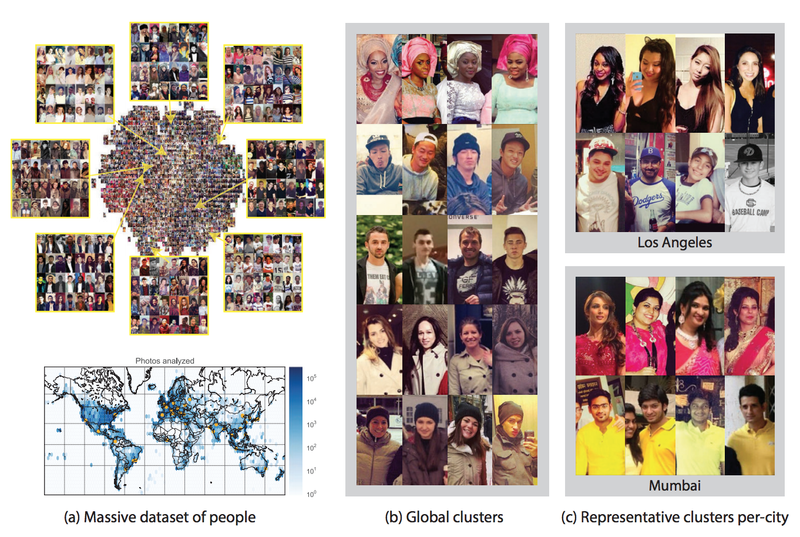 With the aid of TDM techniques researchers were able to mine 100 million photographs made available on Instagram and devise patterns on how clothing styles vary around the world, and tackle the frequency of use of certain garments and colours. By training a machine-learning algorithm, the researchers were able to identify a set of visual themes and study how these would vary by time and place, and also identify the preference for certain colours. Individuals make fashion choices based on many factors, including geography, weather, culture, and personal preference. The ability to analyze and predict trends in fashion is valuable for many applications, including analytics for fashion designers, retailers, advertisers, and manufacturers. This kind of analysis is currently done manually by analysts by, for instance, collecting and inspecting photographs from relevant locations and times. We aim to extract meaningful insights about the geo-spatial and temporal distributions of clothing, fashion, and style around the world through social media analysis at scale. The question that arises from an IP standpoint is whether and to what extent unauthorized mining activities of this kind may be considered lawful. 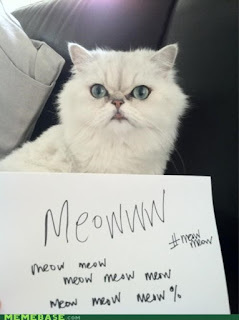 According to Instagram's Platform Policy, by making content available there, users grant Instagram and its affiliates a non-exclusive, transferable, sub-licensable, royalty-free, worldwide licence to use any data, content, and other information made available by users or on their behalf in connection with their use of Instagram. This licence survives even if one stops using the platform feature. Users are responsible for obtaining the necessary rights from all applicable rightholders to grant such licence. It would thus appear that, unless one is an affiliate of Instagram, the licence granted to the platform may not cover the making of annotated datasets containing thousands of images to be made publicly available. From a copyright standpoint, the extraction and reproduction of Instagram images may pose copyright issues (among other things). One may thus wonder whether and to what extent liability might arise for the making of such restricted acts without permission from relevant rightholders or whether, instead, no permission is needed because of applicable copyright exceptions. Under US law, the question would be one of fair use under §107 of the Copyright Act. The fair use assessment requires to consider - among other things - whether the use made of a work 'adds value to the original - if the quoted matter is used as raw material, transformed in the creation of new information, new aesthetics, new insights and understandings - this is the very type of activity that the fair use doctrine intends to protect for the enrichment of society' (PN Leval (1990), 'Toward a Fair Use Standard' 103 Harv L Rev 1105, 1111). In the longstanding litigation over the Google Books Library Project, the 2nd Circuit considered relevant for a finding of fair use also the fact that the search engine 'makes possible new forms of research, known as “text mining” and “data mining.”' by using the Google Library Project corpus 'to furnish statistical information to Internet users about the frequency of word and phrase usage over centuries'. There is case law in the US (see Sag and Schultz (2013), 'Brief of Digital Humanities and Law Scholars as Amici Curiae in Authors Guild v Hathitrust', 4) that suggests that acts of incidental or intermediate copying which do not ultimately result in the external re-use of protectable (expressive) parts of a copyright work (this might not be the case of the whole of the Cornell project) should not be considered infringing, ie such as to supersede the objects or purposes of the original creation. It may thus be the case that, under US law, the mining of Instagram content - insofar as protected parts of the content mined are not re-used or made available as such - might be considered fair use. That would be so because the goal of the mining activity is not creating a replacement for the original content, but rather extracting information (ideas and facts are not protectable as such under copyright) in order to obtain new information. Things, however, may be different in Europe, especially considering the limitations that might be envisaged for an EU-wide TDM exception. The approach in the EU? While a limited number of Member States in the EU has already introduced (UK, France, Germany and Estonia: see here) or is planning to introduce (eg Ireland, on which see Katposts here and here) a specific text and data mining exception, in the context of the current copyright reform debate, a provision (Article 3) has been included in the draft Directive on copyright in the Digital Single Market. In its original formulation, the mandatory EU TDM exception would allow any type of TDM (commercial and non-commercial). However, the catalogue of beneficiaries and the purpose of permitted mining activities would be limited: Article 3 would only apply to 'research organisations in order to carry out text and data mining of works or other subject matter to which they have lawful access for the purposes of scientific research'. As proposed in the JURI Committee Report of the European Parliament, Member States should remain free - despite the introduction of a mandatory EU-wide TDM exception - to retain or introduce TDM exceptions in accordance with point (a) of Article 5(3) of the InfoSoc Directive, this being the legislative basis used to introduce non-commercial TDM exceptions that, as is the case of the UK (section 29A CDPA), do not envisage any limitations as regards the beneficiaries of the exception. Algorithmic fashion is a thing: fashion houses have been increasingly giving consumers something that consumers have already suggested - more or less implicitly - to be wanting. This knowledge may be acquired manually but also through TDM techniques. These allow to learn much more and much more reliably, not just about things as they are, but also about things as they will be. From an IP standpoint, all this raises a number of legal questions at the interplay between copyright subsistence, exceptions and licensing. From a fashion perspective, it instead raises the question whether fashion should be about what we want and everything consumer profiling and purchasing habits or, instead, what we didn't know we wanted ... yet. Copyright and tattoos is one of The IPKat’s favourite topics. Over time a few posts have been devoted to exploring the intricacies of copyright law as applied to this type of works: see, eg here, here, here, here, here, here, here. However, as Jeremy recalled - despite all this interest - The IPKat sports no tattoos, not least because of the mess it would make of the fur. The tattoo reproduced on someone's body is an infringing copy of a third-party copyright work. While the former scenario has been already subject to litigation - whether concluded with a judgment [eg in Belgium] or settled out of court - the latter, as far as I am aware [but please let me know if it is otherwise! ], has not yet been fully litigated. Let's see a bit more in detail what the issues for these two scenarios might be. This scenario might not appear particularly problematic to the lay person, but it has been causing celebrities and athletes more than an headache over the past few years. 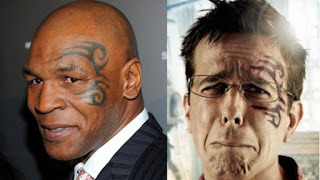 Readers will remember for instance the (in)famous case of the Mike Tyson's face tattoo and the lawsuit that his tattoo artist brought in the US against the producers of The Hangover - Part II over the unauthorized reproduction of that artistic work. The case was eventually settled out of court, but it was sufficient to generate a renewed new awareness around the legal issues potentially affecting tattoos. This has become true also for sports organizations. For instance, in 2013 Forbes reported that the NFL Players Association (this is the organization that represents professional American football players in the National Football League) had become increasingly concerned about potential copyright claims concerning its members' tattoos, and started advising agents to tell their players that, when they get tattoos, they should get an assignment from the tattoo artist and, if they can track down their former artists, they should get an assignment as well. 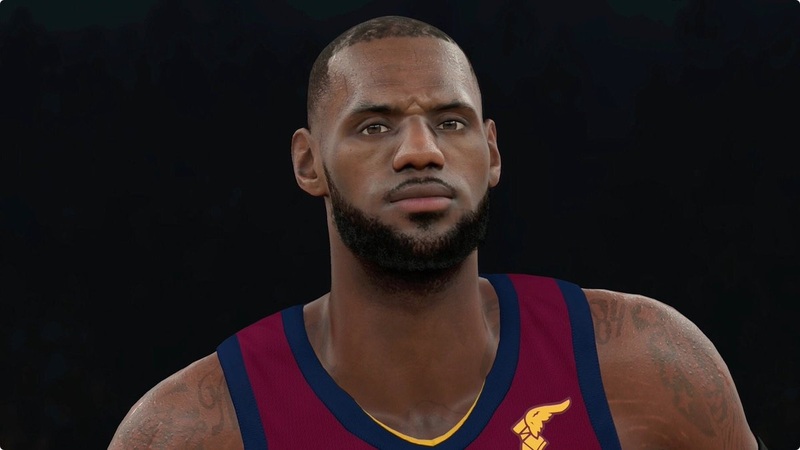 One of the reasons as to why such concerns have started arising is also because athletes routinely license use of their likeness in advertising, merchandising, and important 'side' products like videogames. And videogames seem to have become problematic indeed. As The IPKat reported back in 2013, videogame publisher THQ was sued by a tattoo artist over the UFC Undisputed games for reproducing, without his permission, the drawing of a lion that he had tattooed on the ribcage of mixed martial fighter Carlos Condit. In the fifteen years since I've been playing professional basketball, this case is the first time that anyone has suggested to me that I can't license my likeness without getting the permission of the tattooists who inked my tattoos. No tattooist has ever told me I needed their permission to be shown with my tattoos, even when it was clear I was a public basketball player. Each of my tattoos was created to showcase parts of my life and things that are important to me. ... My tattoos are a part of my persona and identity; if I am not shown with my tattoos, it wouldn't really be a depiction of me. So, which one should prevail, copyright protection (for the owner of copyright in the tattoo) or the right of the person whose body carries the tattoo to decide how their image and likeness are to be presented and used, this being - it is arguable - also a form of self-determination and exercise of one's own freedom of expression? Neither right - copyright and publicity/image - is absolute. With regard to the latter, readers may for instance recall the interesting decision in the Olivia de Havilland case [reported here]. With regard to copyright, fair use under §107 of the US Copyright Act is a central doctrine that sets limitations to the scope of a copyright holder's control [see also here]. Overall, if one was to set a balance, it would appear that what is being reproduced in, say, a videogame, is not the tattoos on LeBron James's body as such, but rather the likeness of LeBron James, which happens to include tattoos. In this sense, one might argue - though not without risks - that the reproduction of tattoos is an incidental inclusion of copyright material and therefore the copyright aspects should be superseded by the right to control one's own image. This second scenario is something that remains even less explored than the first one. 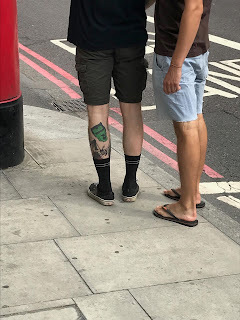 A few weeks ago I was walking in the Borough Market area in London, when the tattoo on someone's leg caught my attention. Spotting the resemblance with a well-known comic character, I thought a bit about the case of those that like to get tattoos of fictional characters or well-known artworks (Banksy's graffiti appear to be particularly popular) on their bodies. Exhaustion of the right of distribution only applies to the tangible support of a work, not also the work as such: Art&Allposters, on which see Katposts here.